If you’re fed up of constantly shaving, tweezing, or waxing away your unwanted hair, an IPL Laser Hair Removal Treatment may be an option worth considering. 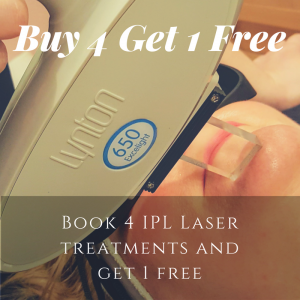 IPL laser hair removal works by focusing a beam of laser light on the base of the hair follicle, using the dark pigment in your hair, called melanin, as a conductor. The energy from the laser travels down your hair, damaging the base of the hair follicle causing it to stop producing hairs. If you’re planning on undergoing laser hair removal, you should stop plucking, waxing, and electrolysis of the area for six weeks before treatment. Because the laser works by targeting the hairs’ roots, you need to make sure they are in the growing process. 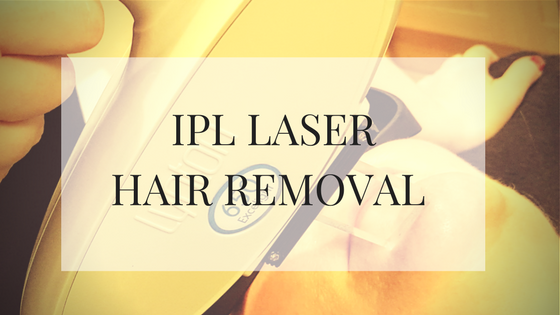 IPL is most effective at removing hair during the active growth phase, when your hair is just starting to grow back so you’ll need to shave 3 or 4 days before your treatment. Sun exposure should also be avoided for six weeks before and after treatment. Sun exposure makes laser hair removal less effective and makes complications after treatment more likely. For a day or two after your treatment, your skin may look and feel like it’s sunburned. Cool compresses and moisturisers may help. If your face was treated, you can wear makeup the next day unless your skin is blistering. Over the following month, your treated hair will fall out. It’s important you wear an SPF for the following month to help prevent any changes of colour of the treated skin. There are some potential side effects of this treatment, which are swelling, redness, and scarring. But the correct care before and after you treatment will greatly reduce any risk. Not every hair in the treatment will be in the optimum growing phase so you will need more than one treatment to make sure we get them all. After your first treatment, your next session can be booked four to six weeks later. You can continue to have treatments until hair stops growing, which re normally about six to eight sessions. The number of hair removal sessions you’ll need depends on a few factors, including where the hair is, how thick it is and your skin type and hair colour, which will all be discussed in a consultation before treatment.